The Wyvern of the Year Award recognises a member of the Wyvern Society who has demonstrated exceptional and outstanding service to the community, and who have selflessly given of themselves in a way well in excess of what might normally be expected by a person in their position. Nominations are accepted until June 30th each year, with the award presented at the annual Wyvern Dinner in October. Associate Professor Andrew Weickhardt attended Queen’s College from 1996-1998, and was the Student Club President in 1998. He completed his MBBS with Honours at the University of Melbourne in 2002 as the highest ranked student. After completing residency and basic physician training at The Royal Melbourne Hospital, he went on to do advanced training in medical oncology, obtaining his FRACP in 2009. He also completed a DMedSc at the University of Melbourne investigating acquired resistance to targeted therapy in cancer, before spending two years at the University of Colorado in Denver doing a clinical post-doctorate. 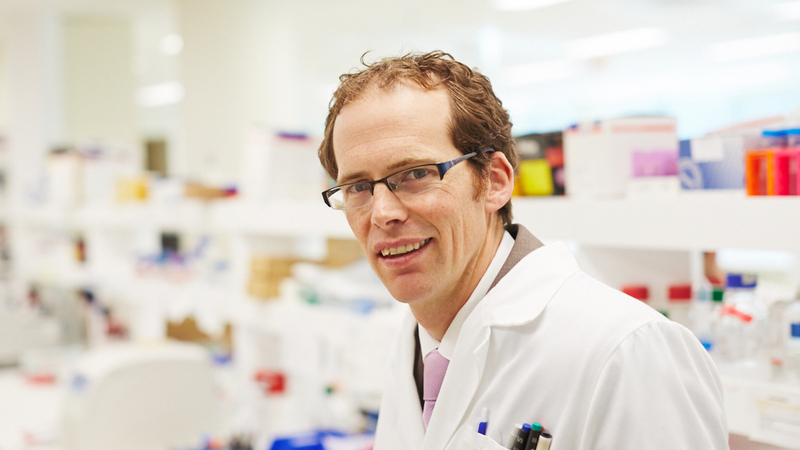 He now works as a medical oncologist and translational scientist at the Olivia Newton-John Cancer Centre at the Austin Hospital, leading the genitourinary cancer team investigating new ways of using immune therapies to treat bladder, prostate and kidney cancer. 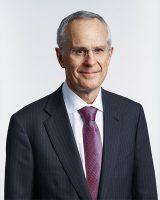 Rod Sims is the current chairman of the Australian Competition and Consumer Commission (ACCC), having held the position since 2011. As a resident, Rod was an integral member of our back-to-back intercollegiate tennis premiership team and participated fully in all areas of College. His illustrious career in the public service, from working as the Principal Economic Advisor to Prime Minister Bob Hawke to his current position as head of the world-leading regulator, made him a deserving recipient of the 2017 Wyvern of the Year Award. While you can find many Wyverns on Collins Street overlooking Melbourne’s CBD, you will struggle to find the recipient of the 2016 Wyvern of the Year Award. Lauren George has devoted her time to establishing the Steven Tito Academy in Tanzania, a capstone for her work teaching English in rural Tanzanian communities. She began planning her first trip to Tanzania as a resident on 3J and regards Queen’s as a major source for her work. Few people have had a similar impact on the law and everyday life of Australians as The Honourable Marcia Neave AO. Marcia was the first academic to be appointed directly to the role of Justice of Appeal, Supreme Court of Victoria, Court of Appeal. This judicial position was bookended by remarkable work in law reform, as the Foundation Chair of the Victorian Law Reform Commission, and more recently as Commissioner for the Royal Commission into Family Violence. Her work has been incredibly important and The Wyvern Society were proud to make Marcia the 2015 Wyvern of the Year. Mr Donald (Scotty) Macleish was the first Australian traveller of the James IV Association of Surgeons in 1973 and became the association’s first Australian member in 1981. He served as a member of the Royal Melbourne Surgical Teams in South Vietnam, treating soldiers and members of the local community. A giant of Australian medicine and a humble philanthropist, Scotty was a very deserving recipient of the inaugural Wyvern of the Year Award. The College mourned his passing in 2017. Members of the Wyvern Society are eligible to nominate a candidate for the award and an individual can submit multiple nominations, including for themselves. Nominations will only be accepted if they are completed using the official form and submitted to the Wyvern Society committee either by postal mail or via archwyvern@queens.unimelb.edu.au. Nominations are open to 30 June each year. Such other person as decided by a General Meeting or the Wyvern Society Committee to be deserving of membership of the Wyvern Society. Recipients must be members of the Wyvern Society and have demonstrated exceptional and outstanding service to the community. They must have also demonstrated persistent commitment and their achievement(s) must have had lasting positive impact. The Wyvern Society Committee forms a selection subcommittee to assess nominees and propose a winner for Committee endorsement. Preference is given to recent contributions or achievements. An award will not be made if, in the opinion of the subcommittee, there is no suitable candidate.